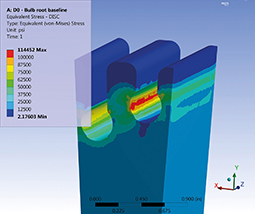 What are the causes of stress corrosion cracking in steam turbines? 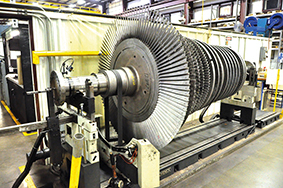 Older steam turbines are prone to stress corrosion cracking of the turbine blades for a number of reasons and understanding the causes and potential solutions can help to minimise downtime and improve reliability. In this case, reviewing the findings of two examples will enable operators of similar equipment to modify existing processes and make their own checks during planned outages. By examining case studies and in-depth analysis of equipment failures, it is possible to introduce new strategies that will benefit a business in the future. Using information gained by OEMs and expert maintenance providers such as Sulzer allows similar issues to be avoided. In the first case, the row six disk of an integral steam turbine rotor developed cracks in the root sections of the blades. The turbine had an operating speed of 9,900 rpm and the steam inlet temperature was 400°C. 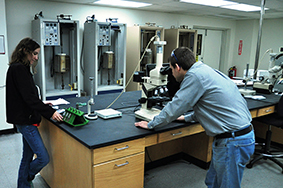 The equipment had been well maintained and the service history was available to the maintenance engineers. 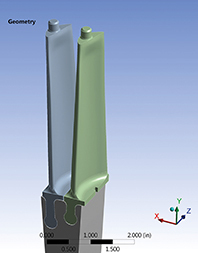 The root of each blade is under particularly high mechanical load and the design of this rotor used two root lengths to offset the stress loading and to minimise the risk of cracking in the disk housing. In this case, a total of seven roots with cracks were identified using a magnetic particle inspection process. steam used to power the turbine. To address all of the possible causes for the cracks in the rotor disk, an investigation into the stresses using finite element analysis (FEA) was carried out. This involved creating a 3D computer-generated model of the disk with the blades fitted. The stress analysis looked at the maximum values generated while the rotor operated at maximum continuous operating speed (MCOS). For stress corrosion cracking to occur, three conditions must occur: the alloy is susceptible to stress corrosion cracking; the stress intensity factor is above the threshold value; a corrosive environment is present. After chemically etching a polished sample of the fracture surface, it was clear that microstructure did not show fully tempered martensite. Combined with the low impact values, this indicated that the forging had not been properly heat-treated and this may have accelerated the crack propagation in the disk.